Apparently the end of the world is near. Some Christian groups are predicting this fate by the end of the month. I also noticed this advertisement in the Jamaica Gleaner yesterday. 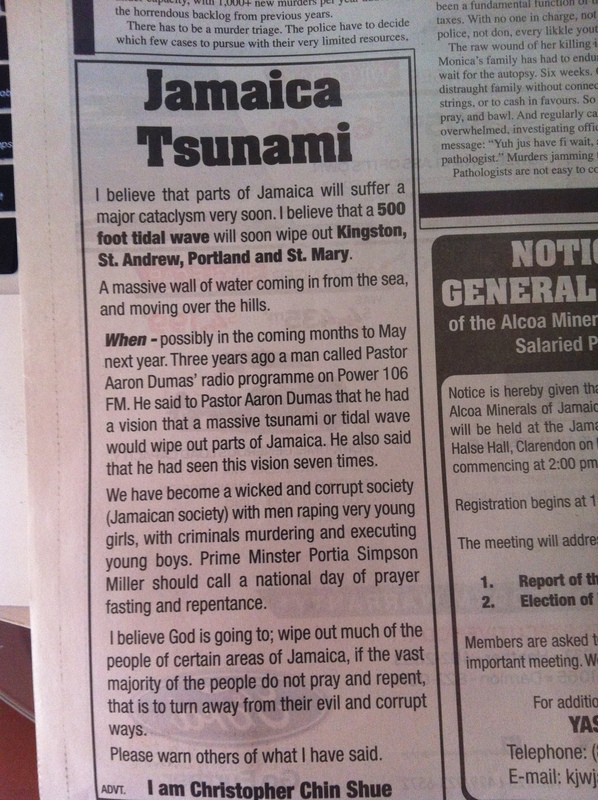 A Jamaican paid money to warn the rest of us that a similar fate will befall the island in the next year or so. In this case, this will be a tsunami-like event. Let’s hope not.